After Prisoner Swap, Anxiety Over Jailed Iranian-American Businessman : Parallels The U.S. and Iran swapped prisoners last month, before the lifting of sanctions. But Siamak Namazi, an Iranian-American businessman, remains in an Iranian jail, raising concerns among the diaspora. 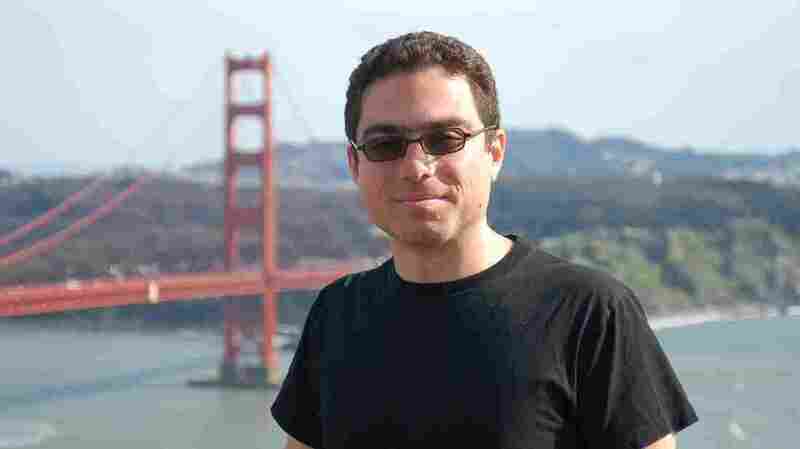 Iranian-American businessman Siamak Namazi, shown here in a snapshot at California's Golden Gate Bridge, was arrested by Iranian authorities in October. Iran has eagerly opened its doors to foreign investment now that a nuclear deal has cleared the way. So why is Iran still holding prisoner an Iranian-American businessman? This is one of the contradictions of the moment in Iran, where economic sanctions were lifted weeks ago. During seven days in the country, producer Emily Ochsenschlager and I found ourselves sitting next to British and German businessmen at hotel breakfast buffets. We met a builder eager for foreign investment to finish the largest hotel in Iran. We met an economist, close to Iran's government, who wants Iran to join the World Trade Organization. We stepped into a shopping mall and saw TVs showing news programming from the U.S. network Bloomberg Television; nobody seemed to care that the anchor was dressed in Western style with her hair uncovered. We even met an Iranian business consultant who was wearing a necktie — an accessory long ago rejected in the Islamic Republic as a symbol of Western decadence. But we never heard a word about Siamak Namazi, the Iranian-American held in Evin Prison on the edge of Tehran. His case is hard to fathom. U.S. and Iranian officials have said little or nothing about it, but friends suspect that Namazi's arrest in October 2015 may reflect the profound suspicion that some Iranian officials feel about opening their doors to America. Iranian business consultant Cyrus Rezzaghi — the one who wears ties — gave us insight into Iranian thinking. Rezzaghi, whose job is advising international firms that are contemplating doing business in Iran, said Iranians badly need access to the proprietary technologies of major U.S. firms, such as General Electric, Honeywell or Microsoft. "There's no subsititue for these companies," he said, "so they are very welcome." At the same time, he said, there are "general policies that if you have a choice between a European and American company, try to bring the European company." It's no surprise that Iranians would seek to deal with European firms when possible. Iran's supreme leader, Ayatollah Ali Khamenei, allowed his government to make the nuclear deal with the U.S. and other powers, but has also warned against any U.S. infiltration of the country. 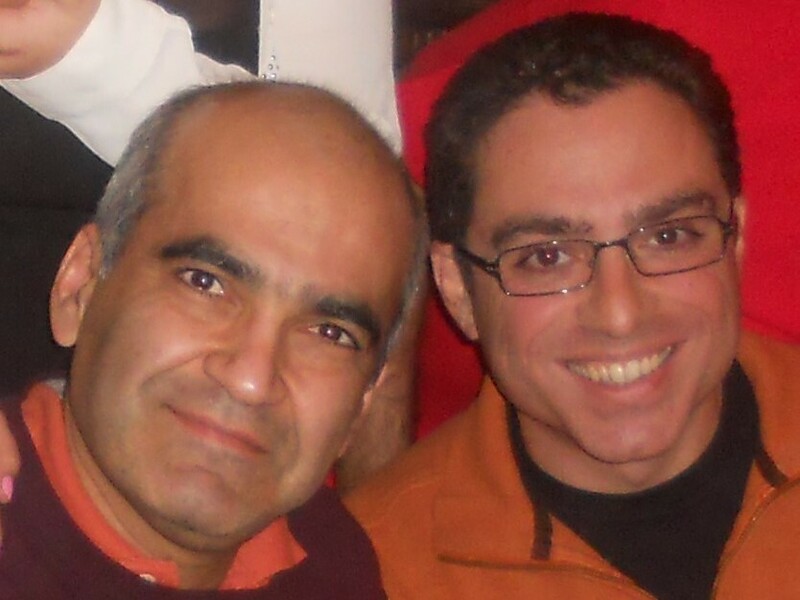 That concern about infiltration may have come to focus on Iranian-Americans — the very people who might otherwise build bridges between Iran and the U.S.
Siamak Namazi (right), with his friend and former business partner, Bijan Khajehpour. "The average Iranian-American, especially the average Iranian-American who has good contacts on one or both sides, are suspects, unfortunately," says Khajehpour. This, at least, is the theory of Bijan Khajehpour, a friend, relative and former business partner of imprisoned Iranian-American Siamak Namazi. "The average Iranian-American, especially the average Iranian-American who has good contacts on one or both sides, are suspects," he said. Khajehpour, an Iranian who often dealt with foreign business clients, was himself imprisoned in Iran back in 2009. Now living in Europe, he is in a position to speak freely, and talked about his friend Namazi's case. Namazi's immediate family in Iran have so far been silent. He described Namazi — Iranian-born, but raised in the U.S. — as a man who recommitted himself to the country of his birth. "In 1993, having finished his university degree in the U.S., he decided actually to return to Iran to do his military service — something completely unusual, because most Iranians were trying to escape their military service," Khajehpour said. "But Siamak decided to actually do his military service, and his argument was that this was the best way of being reintroduced to his home country." He went on to do business in Iran for years. Even after leaving again, he remained an advocate for ordinary Iranians, and argued to the United States that economic sanctions were harmful. He worked for a Persian Gulf petroleum company and then traveled to Iran in 2015. His family says he was on a personal visit to his parents when things began going wrong. "When he was trying to leave Tehran after his short trip in July 2015," Khajehpour said, "he was stopped at the airport, was shown a warrant by the security forces and asked to remain in Iran because they needed to interrogate him. And for about three months he was subject to interrogations. "He was free. He was living at his parents' house, but he was called to go in for interrogations, and the questions were mainly around this fear between Iranian diaspora — especially Iranian-Americans — and the Iranians inside Iran. But unfortunately, at one of these meetings in mid-October, he was arrested." 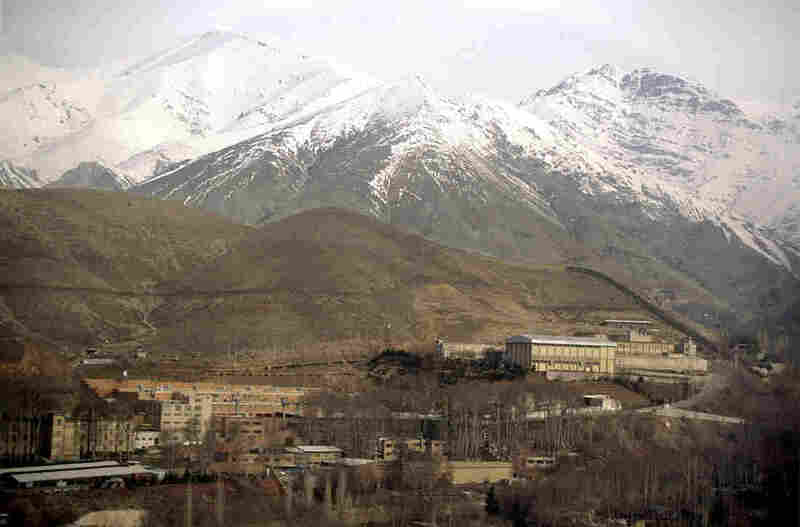 The Evin prison outside Tehran, shown here in 2004, is where prisoners including Iranian-American businessman Siamak Namazi and Washington Post journalist Jason Rezaian have been held. Since then, Khajehpour said, "he has managed to talk to his parents on the phone a few times. His mother has visited him a few times. Obviously we don't know, and he cannot really communicate anything about how things are, but you can assume that it's a continuation of a more intense interrogation. And we all know Siamak so well. We all know that he has not done anything wrong or anything illegal. "We really don't know what kind of an assumption was the basis for this arrest and what kind of an agenda is now driving it." Regardless, Namazi is now in Evin prison, the same place where Khajehpour was once held. "What I can tell you is, the worst thing is this ambiguity," he said. "The ambiguity of what you are accused of. And worse than that, how long the process is going to be. I think this is part of the psychological pressure they put on you." 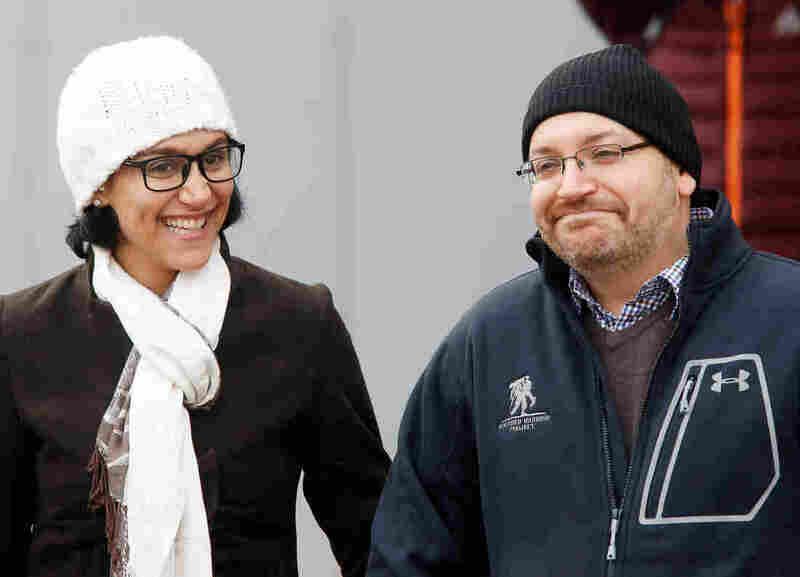 Namazi's case has received far less attention than that of Washington Post journalist Jason Rezaian, an Iranian-American who was released last month after 544 days in prison. But when Rezaian and other Americans were freed, Namazi's friends were dismayed to learn that he was not. The implications are chilling. "In fact," said Khajehpour, "I've heard from a number of friends — Iranian-Americans but also Iranian-Europeans — who are concerned about going back to Iran and are concerned about facing similar accusations like Siamak is facing right now. So it's definitely the case that Siamak's arrest has undermined the flow of members of the Iranian diaspora going back to Iran." And those are some of the very people Iran would depend on to spur new investment. To be sure, some outsiders are still coming to Iran. During our week there, we saw British and German businessmen moving about Tehran hotels, and even met an Iranian-American businessman. He talked openly of many things — but asked us not to refer to him in public as Iranian-American.